Contact me for pricing on commercial shoots. No matter your brand's focus or goal, I can capture a vivid image to represent the product and draw buyers. 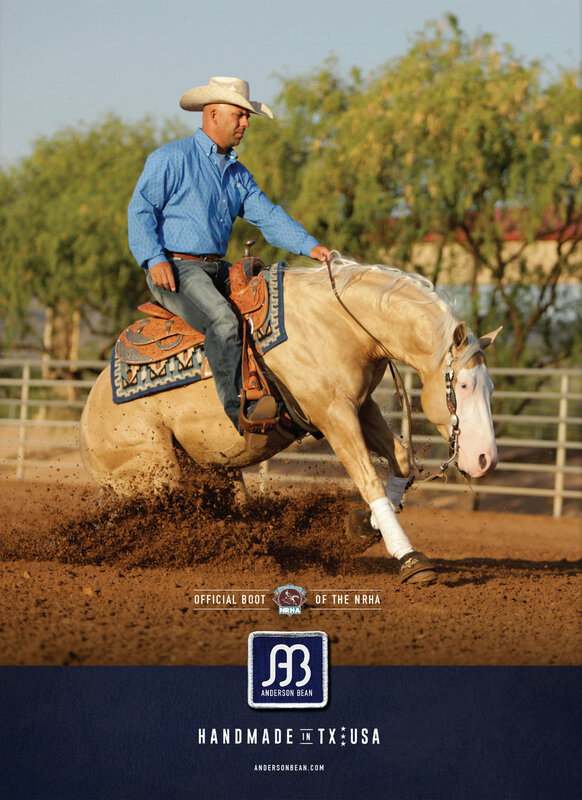 Anderson Bean Boot Company endorser Craig Schmersal, reining horse trainer.